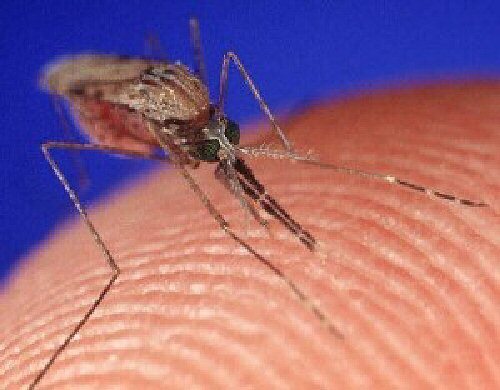 CENTRAL SQUARE – Eastern equine encephalitis (EEE) virus and West Nile virus (WNV) were found in mosquito pools collected in Oswego County Aug. 7, the Oswego County Health Department announced this afternoon (Aug. 13). The tests were performed in the State Department of Health’s Wadsworth Center Laboratories near Albany. The state Department of Health reported the results to the Oswego County Health Department yesterday and this afternoon. Two mosquito pools collected in the village of Central Square tested positive for both the EEE virus and West Nile virus, and a third pool in the village of Central Square tested positive for EEE. One mosquito pool collected in the town of New Haven tested positive for West Nile virus. A mosquito pool is a collection of mosquitoes of the same species taken from a site for testing. In rare cases, humans may be infected with the EEE virus or West Nile virus. Both may cause severe inflammation and swelling of the brain, even death. West Nile virus could be much less severe and most infected humans do not develop symptoms. Symptoms from the viruses’ infections include sudden high fever, muscle pains, and a headache of increasing severity. Anyone experiencing these symptoms should seek medical attention. Huang advises that staying away from areas where mosquitoes concentrate and limiting outside activity between dusk and dawn when mosquitoes are most active are two of the best measures people can take. Limit outdoor activities in areas where mosquitoes are most active and between dusk and dawn, which is the peak mosquito biting time.